Enjoy a private Ravenna walking tour with Avventure Bellissime and take full advantage of the opportunity to discover the city’s beautiful mosaics with a local expert tour guide! On our private Ravenna walking tour, you’ll explore the best of what this city has to offer at your own pace. Combining art, culture, food, wine and much more, our private tour will help you get to know the history of Ravenna’s off-the-beaten-track areas and discover the atmosphere of local day to day life on some of the most astonishing walks through the once-capital of Rome’s Western Empire. Located just a few kilometres east of Bologna, season after season Ravenna attracts thousands of visitors with its stunning early Christian mosaics spread out throughout the religious buildings and museums in its historic centre. 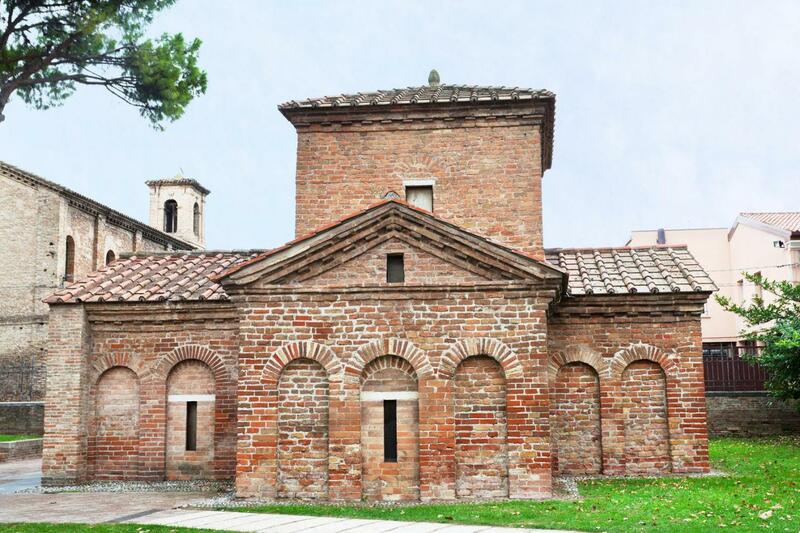 Take a private Ravenna walking tour with us and you’ll have the one-of-a-kind chance to see this wonderful and colorful city come alive with its historical and cultural prestige. On a three-hour private guided walking tour of Ravenna Mosaics discover the symbolic world of the Byzantine civilization through the beautiful mosaics of Ravenna. Remarkably well preserved, their sheer opulence overwhelms all who visit them. Accompanied by a local expert on the mosaics, explore the fantastic world of colored glass tessere, and by the end of the private tour of Ravenna you'll be able to decipher the encrypted message of the mystical world that you find represented in churches and mausoleums of the town. The tour of Ravenna includes a detailed visit to the most significant Early-Christian and Byzantine monuments of Ravenna. We'll visit all the major sites of the famous mosaics of Ravenna including: the Church of S.Vitale, the Mausoleum of Galla Placidia, the Church of St. Francis with its waterlogged crypt featuring ancient floor mosaics, the Basilica of St. Apollinare Nuovo. 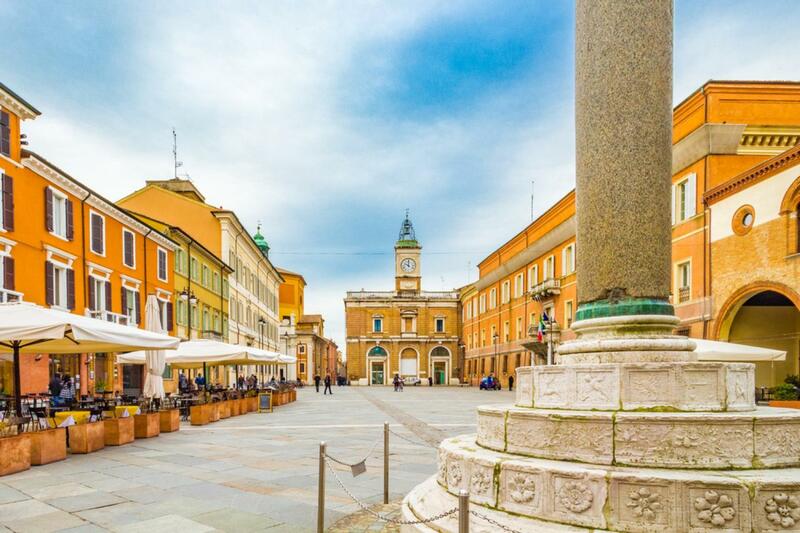 And while walking through the quiet and pleasant streets of Ravenna, we'll pause to admire Piazza del Popolo the main square of the city with its 15th century Town Hall, as well as the Tomb of Dante. Important Information: Clients staying in the nearby cities of Florence, Bologna & Venice can make their way to Ravenna by train arriving at 12 noon. Return trains depart Ravenna around 5 p.m. 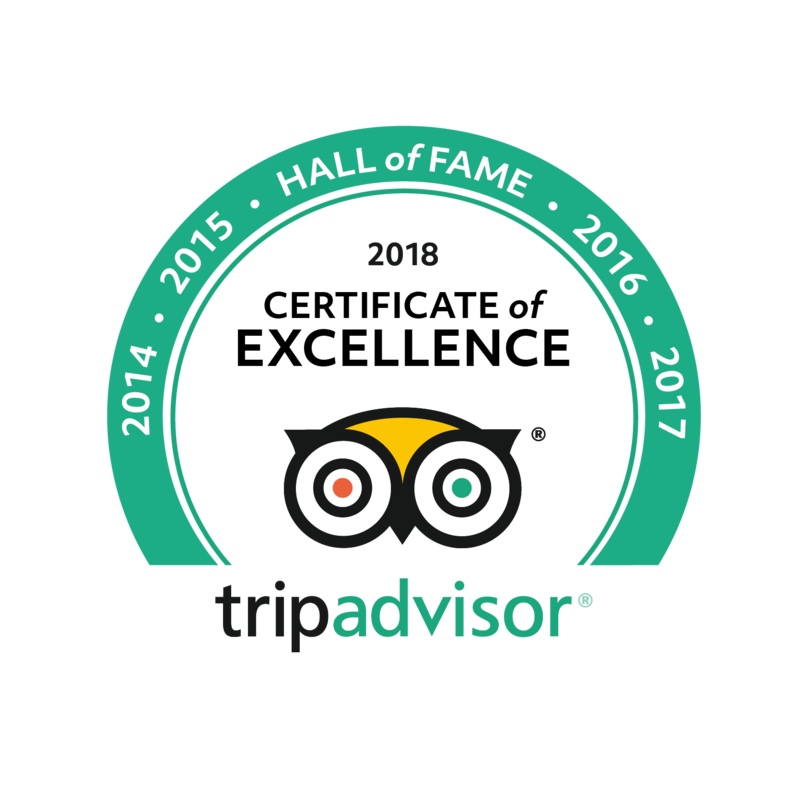 This will give you enough time to enjoy a relaxing lunch, as well as an informative and educating private walking tours of Ravenna. Tour guide was knowledgeableabout the sites and city.